How is the fit on the engineer boots? I'm a 9 in Wolverine 1k and 9.5 in RW Beckmans. Should I get 9.5 in the Phigvel? If you also take a 9.5 in any other boots, I would say you should go with the 9.5 or even a 10. Hickorees claimed they ran large, but I went with a 9, instead of the 8 that Hickorees recommended, and the fit was perfect. For reference, I am an 8.5 in Red Wings, Alden, Wesco, Whites and most boots, and a size 9 in the MF Road Champs. If the 9.5 or 10 ends up a bit big, you can always wear them with an insole, but if you order a 9 and they end up too small, you will either have to risk trying to make them fit or have to deal with a return. I'd say it sounds like 9.5 is your best bet too. If I remember correctly, the last run they only offered sizes 7.5, 8.5, 9.5, 10.5, and 11.5. Just a quick PSA... Hickoee's has the pre order currently running for the next run of phigvel engineer boots. In case any of y'all are interested. 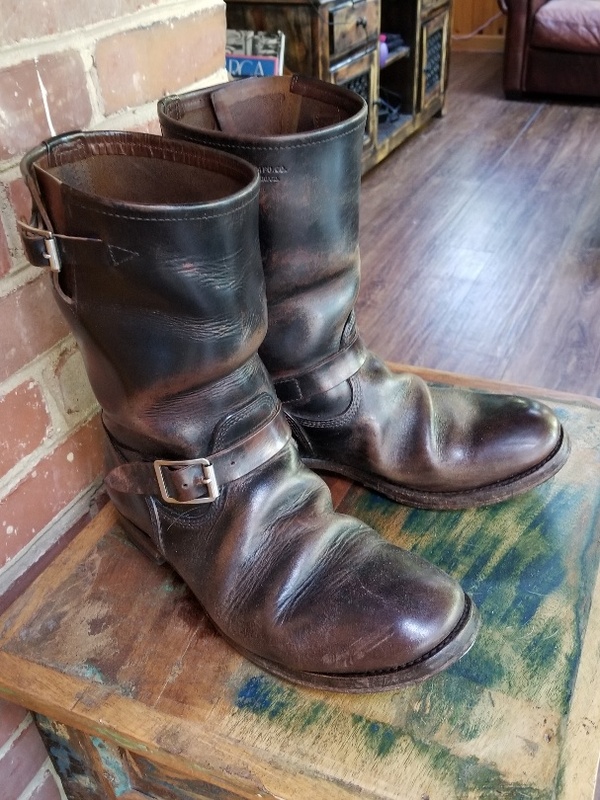 Hello everyone......thought I would share a couple of photos of my Phigvel Boots. I simply love them!